Bumper crop of foxgloves this year. They are my favorites. Discussion in 'Flower Gardening' started by Cayuga Morning, Jun 22, 2014. He says he has watched me year after year, fickle creature that I am, fall for one flower after another, proclaiming each as my Favorite! waretrop, Frank, eileen and 9 others like this. 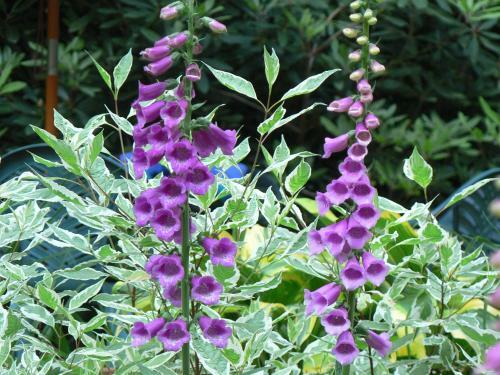 How gorgeous, I will enjoy any and all Foxglove photos you wish to post. 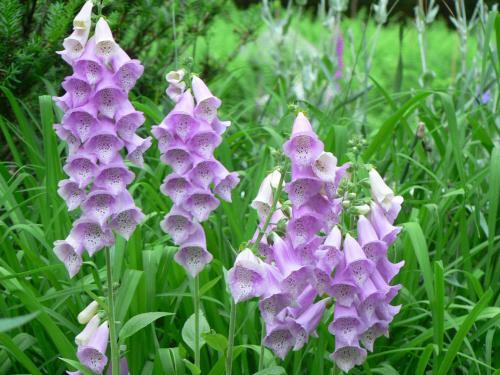 I love Foxgloves but I have very little luck after May because the summer heat kicks in and they gasp their final breath and shuffle off to Buffalo or somewhere and join all the Hollyhocks I can't get to grow either. stratsmom and Cayuga Morning like this. 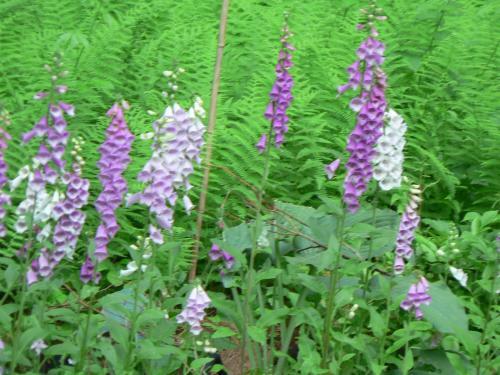 I have lots of foxgloves in the garden too as they attract bees and look great. Strats--I can send you seeds when the time comes if you'd like. All of mine are tall though: 24"-40" Anyone else want seeds? I am bound to have a bumper crop of them too. Love them! 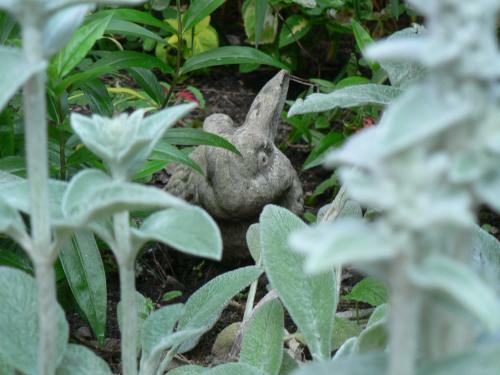 I haven't had luck with them here in my clay soil, but they do well at work where it is more sandy. oh those are beautiful. I have been hesitant on flowering plants, especially annuals because well they bloom only once *i can't remember if this is annual or not* but man these are so beautiful! 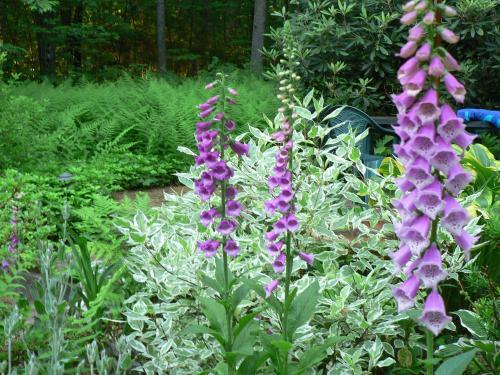 Shawchert--Foxgloves are short-lived perennials. 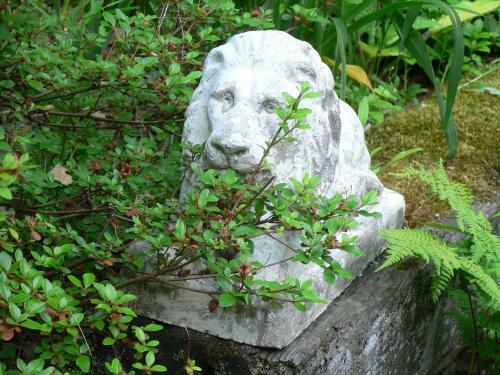 but once you have them in your garden, you will always have them (assuming you have the right growing conditions). If you let them set seed after their bloom, you will get little seedlings that you can transplant, thin out, put where you want them to be. If you want, I can mail you seeds when mine set. Let me know via PM. You would scratch up the soil somewhere, scatter them & then remember where you sowed them! That is the hardest part. Henry---Glad you like my humor! 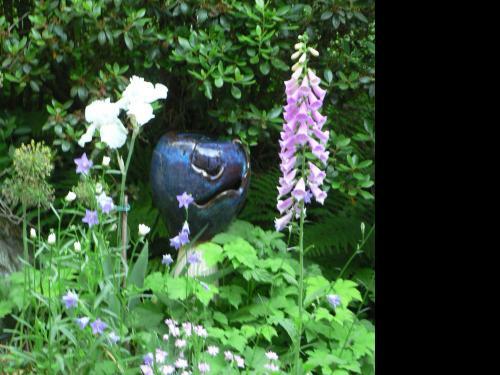 Love foxgloves. They are a wildflower here that I encourage in the garden. They pop up in the most unexpected places. I am currently breaking off the tall flower stems that have gone to seed and placing them where I hope they will come up next spring. I never know though where they'll decide to grow or wether I'll get white or pink. This year I had a huge plant suddenly appear right next to the barbecue.